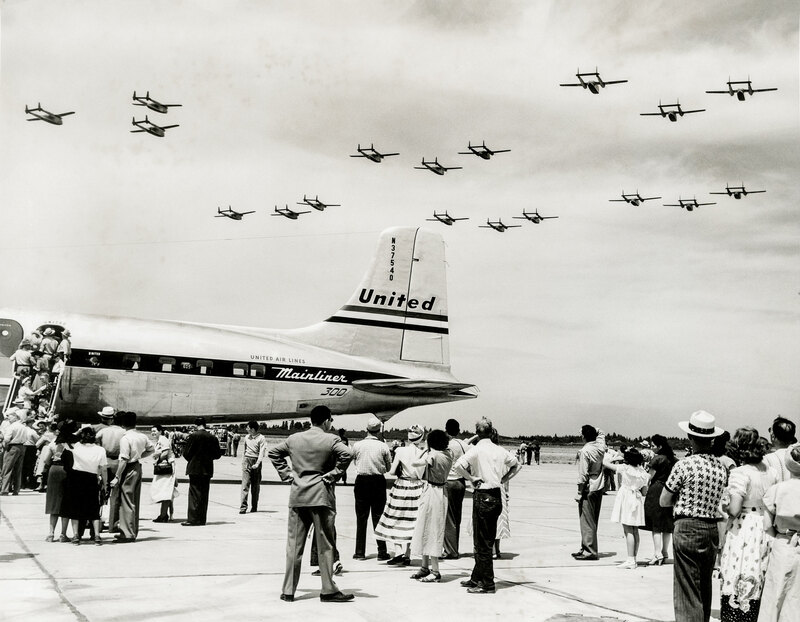 As they wait to tour a United Airlines Douglas DC-6, visitors at Sea-Tac Airport observe a flyover by a group of Fairchild C-119 “Flying Boxcars” from the U.S. Air Force on July 9, 1949, the day the airport dedicated its new terminal and administration building, right. Scheduled service from Sea-Tac had begun two years earlier; in 1948, its first full year of operation, the airport handled more than 130,000 passengers. 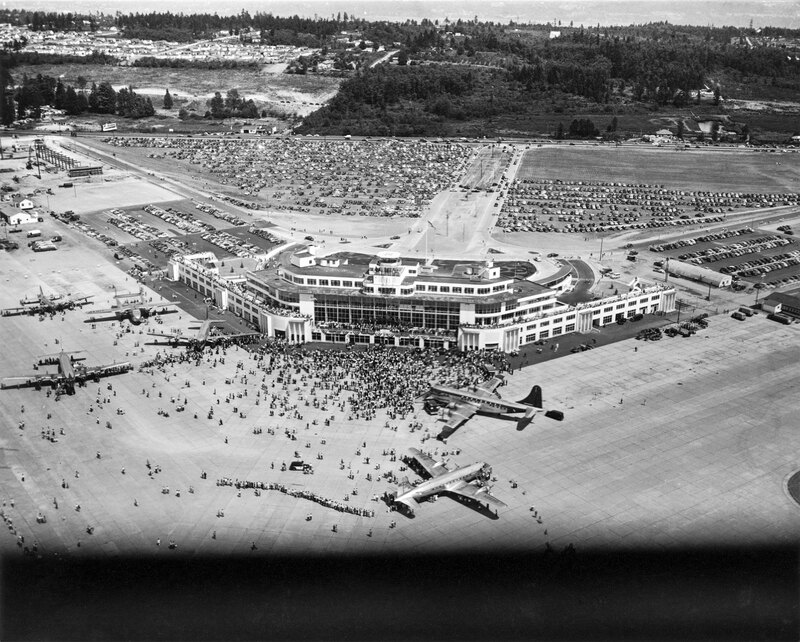 Seventy years later, Sea-Tac averages that amount of traffic in a single day. By 1949, four airlines — United, Northwest, Western and Pan American — served Sea-Tac. About 30,000 people attended the dedication ceremony, the culmination of an $11 million project that began in 1942 when the Port of Seattle acquired 260 separate parcels of property to assemble the airport’s original 907 acres.